As most people know, real baseballs get torn up very quickly in pitching machines. The pressure that wheels exert on balls causes the glue to unbind from the ball's inner core, causing them to get soft and mushy and eventually have their covers ripped off of them. Normal folks don't have the money to burn that professional baseball teams do. That's why we always recommend using dimpled pitching machine balls, which are virtually indestructible. 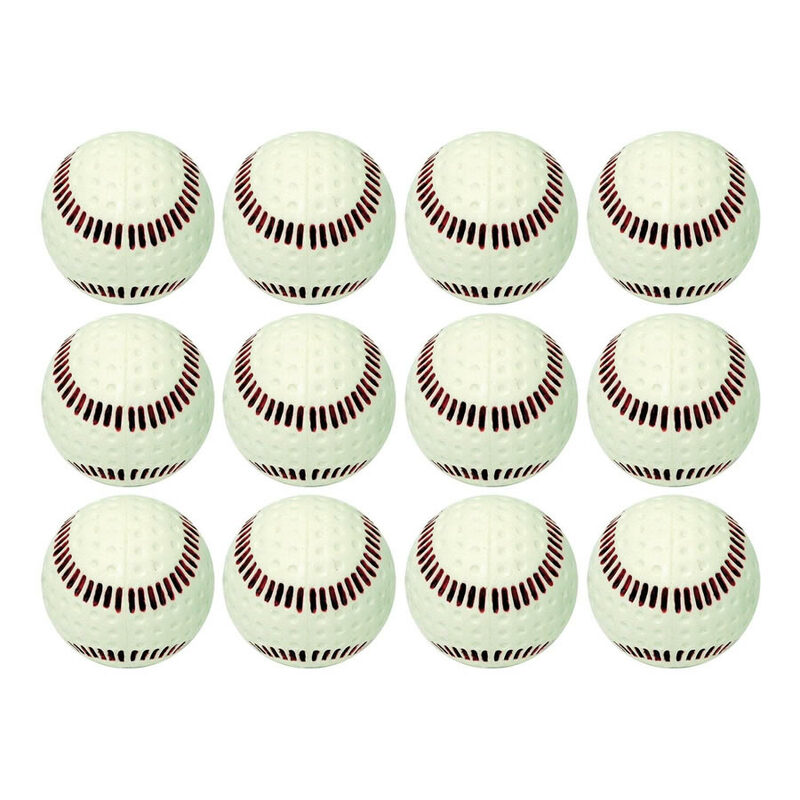 These Baden dimpled pitching machine baseballs have seams painted on them so that hitters can visualize the rotation of the ball as it approaches the plate. That's especially helpful if you are using a pitching machine that pitches curves! With a 9 inch diameter and 5 ounces in weight, Baden Seamed Dimpled Pitching Machine Baseballs are the same size and weight as real baseballs so hitters get a realistic experience. The painted seams are inset so that the color does not wear off quickly. Available in white with red seams only, you can use these balls with any pitching machine. Baden dimpled pitching machine baseballs are approved for use with all real baseball pitching machines sold on this website. There is no warranty, express or implied, on Baden baseballs. No refunds or exchanges are permitted for any reason. Baden dimpled pitching machine baseballs ship from a warehouse located in Moraga, CA. They typically take 2-3 business days to ship from the time you place your order. Baden baseballs ship via UPS or FedEx ground and could take a week to two weeks to get to you AFTER being shipped, depending on your proximity to the warehouse. Expedited delivery IS NOT available from this website but you can certainly contact us to see what the cost would be for special one day or two day delivery. Be forewarned; it is extremely expensive and generally costs much more than the balls do and still does not affect the processing time. In other words, it will still take the same time for the warehouse to process the order; it will just get to you faster once it is shipped!